Dr. Shirley Yu (于泽), PhD in Economics from Peking Univeristy, started her career with investment bank Merrill Lynch in the US. 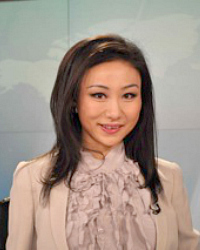 In 2009, a career ambition to become the “voice” of China’s new economic language to the world has led her to join CCTV (China Central Television) News. She hosted the morning news bulletins, daily Wall Street market news wrap-ups. Most recently amidst the China-induced global financial turmoil in July 2015, Shirley moderated a panel in New York City with Dr. Alan Greenspan, Dr. Larry Summers and Steve Forbes on Chinese economy and the world, which has achieved impressive success. She is the frequent moderator for numerous global forums, including the Boao Forum for Asia, United Nations World Investment Forum, Committee of 100 Conference, Asia Pacific Financial Conference, Australian institute of Company Directors Conference, among many. Shirley continues as a business entrepreneur and independent financial host to connect China and Chinese private businesses with the world. Shirley is the author of two books in Chinese, 《无欲自芳菲》（Fearless pursuit）and <百国大使谈中国》(On China, by Ambassadors). Her Doctoral thesis completed in 2014 is on comparative studies of the Chinese RMB internationalization and Japanaese Yen’s. Shirley is fluent in both English and Mandarin Chinese.